Breakfast in Batu Pahat | knockonfood. Hi from Batu Pahat! Loving the traditional kaya toast/bread breakfast. The kaya here is more towards the brown coconut-heavy style while Singapore seems to prefer the green pandan-heavy style. The kaya was sweeter than usual, since they added some gula melaka, with generous silvers of tiny chewy dessicated coconut. Together with the freshly toasted bun and hot kopi-c, my breakfast was awesome. 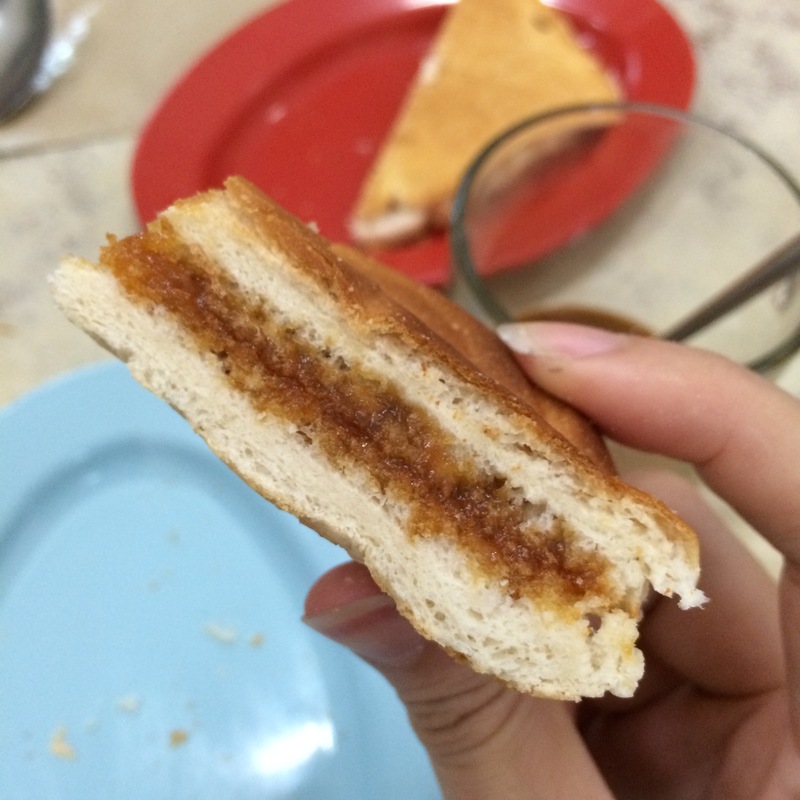 This entry was posted in Around the World, Hawker and tagged bread, Breakfast, Coffee, kaya, malaysia, toast by knockonfood. Bookmark the permalink.